Seven Penn Manor High School students have qualified to perform in the Lancaster-Lebanon County Chorus Festival in January. Julianne Leddy, William Torres, Luke Richardson, Lauren Elledge, Dustin Schneider, Caleb Breidenbaugh, and Julianna Cox qualified for the festival by auditioning before three judges, who assessed their tone quality, melodic accuracy, rhythmic accuracy, intonation and musicality. The students performed two very advanced pieces of choral literature, Regina Coeli by Mozart and Os Justi by Bruckner. The top 25 in each voice part qualified for the festival, which will be held at Lebanon High School on Saturday, January 9. 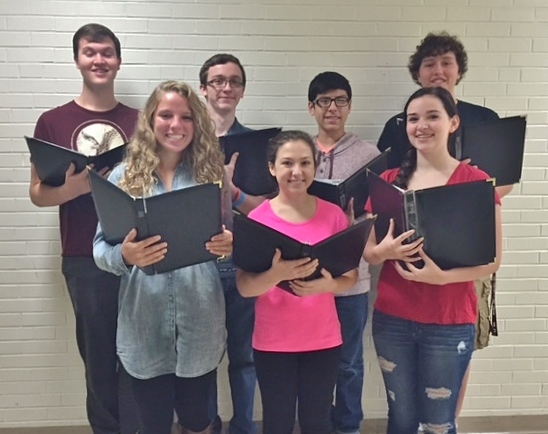 Congratulations to these seven talented singers, among the best in the region!